Stockholm (/ˈstɒkhoʊ(l)m/; Swedish: [²stɔkː(h)ɔlm] ( listen)) is the capital of Sweden and the most populous city in the Nordic countries;[lower-alpha 1] 952,058 people live in the municipality, approximately 1.5 million in the urban area, and 2.3 million in the metropolitan area. The city stretches across fourteen islands where Lake Mälaren flows into the Baltic Sea. Just outside the city and along the coast is the island chain of the Stockholm archipelago. The area has been settled since the Stone Age, in the 6th millennium BC, and was founded as a city in 1252 by Swedish statesman Birger Jarl. It is also the capital of Stockholm County. Stockholm is the only capital in the world with a national urban park. Stockholm is the seat of the Swedish government and most of its agencies, including the highest courts in the judiciary, and the official residencies of the Swedish monarch and the Prime Minister. The government has its seat in the Rosenbad building, the Riksdag (Swedish parliament) is seated in the Parliament House, and the Prime Minister's residence is adjacent at the Sager House. The Stockholm Palace is the official residence and principal workplace of the Swedish monarch, while the Drottningholm Palace, a World Heritage Site on the outskirts of Stockholm, serves as the Royal Family's private residence. Stockholm's core, the present Old Town (Gamla Stan) was built on the central island next to Helgeandsholmen from the mid-13th century onward. The city originally rose to prominence as a result of the Baltic trade of the Hanseatic League. Stockholm developed strong economic and cultural linkages with Lübeck, Hamburg, Gdańsk, Visby, Reval, and Riga during this time. Between 1296 and 1478 Stockholm's City Council was made up of 24 members, half of whom were selected from the town's German-speaking burghers. Stockholm belongs to the Temperate deciduous forest biome, which means the climate is very similar to that of the far northeastern area of the United States and coastal Nova Scotia in Canada. The average annual temperature is 10 °C (50 °F). The average rainfall is 30 to 60 inches a year. The deciduous forest has four distinct seasons, spring, summer, autumn, and winter. In the autumn the leaves change colour. During the winter months the trees lose their leaves. Stockholm, with a February mean of −1.7 °C (28.9 °F), has a oceanic climate (Köppen Cfb) (if the −3 °C (27 °F) isotherm in the coldest month is used to differ between oceanic and continental climates). For the official reference period (1961-1990), it could be classified as an humid continental climate (Köppen Dfb). Due to the city's high northerly latitude, the length of the day varies widely from more than 18 hours around midsummer to only around 6 hours in late December. Stockholm has relatively mild weather compared to other locations at similar latitude, or even farther south. With an average of just over 1800 hours of sunshine per year, it is also one of the sunniest cities in Northern Europe, receiving more sunshine than Paris, London and a few other major European cities of a more southerly latitude. Because of the urban heat island effect and the prevailing wind travelling over land rather than sea during summer months, Stockholm has the warmest summers in the Nordic countries. Summers average daytime high temperatures of 20–25 °C (68–77 °F) and lows of around 13 °C (55 °F), but temperatures can reach 30 °C (86 °F) on some days. Days above 30 °C (86 °F) occur on average 1.55 days per year (1992–2011). Days between 25 °C (77 °F) and 30 °C (86 °F) are relatively common especially in July and August. Night-time lows of above 20 °C (68 °F) are rare, and the hot summer nights roam around 17 to 18 °C (63 to 64 °F). Winters generally bring cloudy weather with the most precipitation falling in December and January (as rain or as snow). The average winter temperatures range from −3 to −1 °C (27 to 30 °F), and occasionally drop below −20 °C (−4 °F). Spring and autumn are generally cool to mild. Annual precipitation is 539 mm (21.2 in) with around 170 wet days and light to moderate rainfall throughout the year. Snowfall occurs mainly from December through March. Snowfall may occasionally occur in late October as well as in April. Following the Stockholm municipal election, 2014 a majority of seats in the municipal council is at present held by a left-wing majority (following two terms of a center-right majority) and the Mayor of Stockholm (Swedish: Finansborgarråd) is Karin Wanngård from the Social Democrats. In addition to the eight political parties which are also represented on the national level in the Riksdag, the Feminist Initiative also hold seats in the municipal council and is part of the ruling majority. Stockholm is Sweden's financial centre. Major Swedish banks, such as Nordea, Swedbank, Handelsbanken, and Skandinaviska Enskilda Banken, are headquartered in Stockholm, as are the major insurance companies Skandia, Folksam and Trygg-Hansa. Stockholm is also home to Sweden's foremost stock exchange, the Stockholm Stock Exchange (Stockholmsbörsen). Additionally, about 45% of Swedish companies with more than 200 employees are headquartered in Stockholm. Noted clothes retailer H&M is also headquartered in the city. In recent years, tourism has played an important part in the city's economy. Stockholm County is ranked as the 10th largest visitor destination in Europe, with over 10 million commercial overnight stays per year. Among 44 European cities Stockholm had the 6th highest growth in number of nights spent in the period 2004–2008. Research and higher education in the sciences started in Stockholm in the 18th century, with education in medicine and various research institutions such as the Stockholm Observatory. The medical education was eventually formalized in 1811 as Karolinska Institutet. The Royal Institute of Technology (Kungliga Tekniska högskolan, or KTH) was founded in 1827 and is currently Scandinavia's largest higher education institute of technology with 13,000 students. Stockholm University, founded in 1878 with university status granted in 1960, has 52,000 students as of 2008. It also incorporates many historical institutions, such as the Observatory, the Swedish Museum of Natural History, and the botanical garden Bergianska trädgården. The Stockholm School of Economics, founded in 1909, is one of the few private institutions of higher education in Sweden. Of the population of 935,619 in 2016, 461,677 were men and 473,942 women. The average age is 40 years; 40.1% of the population is between 20 and 44 years. 382,887 people, or 40.9% of the population, over the age 15 were unmarried. 259,153 people, or 27.7% of the population, were married. 99,524 or 10.6% of the population, had been married but divorced. 299,925 people or 32,1% of Stockholm's residents are of an immigrant or non-Swedish background. Residents of Stockholm are known as Stockholmers. Some of the suburbs have large populations of immigrants. Languages spoken in Greater Stockholm outside of Swedish include Finnish, one of the official minority languages of Sweden; and English, as well as Bosnian, Syriac, Arabic, Turkish, Kurdish, Persian, Dutch, Spanish, Serbian and Croatian. The Nationalmuseum houses the largest collection of art in the country: 16,000 paintings and 30,000 objects of art handicraft. The collection dates back to the days of Gustav Vasa in the 16th century, and has since been expanded with works by artists such as Rembrandt, and Antoine Watteau, as well as constituting a main part of Sweden's art heritage, manifested in the works of Alexander Roslin, Anders Zorn, Johan Tobias Sergel, Carl Larsson, Carl Fredrik Hill and Ernst Josephson. The Stockholm suburbs are places with diverse cultural background. Some areas in the inner suburbs, including those of Skärholmen, Tensta, Jordbro, Fittja, Husby, Brandbergen, Rinkeby, Rissne, Hallonbergen, Kista, Hagsätra, Hässelby, Farsta, Rågsved, Flemingsberg, and the outer suburb of Södertälje, have high percentages of immigrants or second generation immigrants. These mainly come from the Middle East (Assyrians, Syriacs, Turks and Kurds) and former Yugoslavia, but there are also immigrants from Africa, Southeast Asia and Latin America. Other parts of the inner suburbs, such as Täby, Danderyd, Lidingö, Flysta and, as well as some of the suburbs mentioned above, have a majority of ethnic Swedes. There are over 1000 restaurants in Stockholm. As of 2013 Stockholm boasts a total of eight Michelin star restaurants, two of which have two stars. According to the European Cities Monitor 2010, Stockholm is the best city in terms of freedom from pollution. Surrounded by 219 nature reserves, Stockholm has around 1,000 green spaces, which corresponds to 30% of the city's area. Founded in 1995, the Royal National City Park is the world's first legally protected "national urban park". For a description of the formation process, value assets and implementation of the legal protection of The Royal National Urban Park, see Schantz 2006 The water in Stockholm is so clean that people can dive and fish in the centre of the city. In fact the waters of downtown Stockholm serve as spawning grounds for multiple fish species including trout and salmon. As for carbon dioxide emissions, the government goal was to have only clean vehicles in the city by 2011. SL has a common ticket system in the entire Stockholm County, which allows for easy travel between different modes of transport. The tickets are of two main types, single ticket and travel cards, both allowing for unlimited travel with SL in the entire Stockholm County for the duration of the ticket validity. On 1 April 2007, a zone system (A, B, C) and price system was introduced. Single tickets were available in forms of cash ticket, individual unit pre-paid tickets, pre-paid ticket slips of 8, sms-ticket and machine ticket. Cash tickets bought at the point of travel were the most expensive and pre-paid tickets slips of 8 are the cheapest. A single ticket is valid for 75 minutes. The duration of the travel card validity depended on the exact type; they were available from 24 hours up to a year. A 30-day card costs 790 SEK (83 EUR; 130 USD). Tickets of all these types were available with reduced prices for students and persons under 20 and over 65 years of age. On 9 January 2017, the zone system was removed, and the cost of the tickets was increased. Stockholm is at the junction of the European routes E4, E18 and E20. A half-completed motorway ring road exists on the south, west and north sides of the City Centre. The northern section of the ring road opened for traffic in 2015 while the final subsea eastern section is being discussed as a future project. A bypass motorway for traffic between Northern and Southern Sweden will be built west of Stockholm 2013–2023. The many islands and waterways make extensions of the road system both complicated and expensive, and new motorways are often built as systems of tunnels and bridges. Stockholm-Arlanda International Airport (IATA: ARN, ICAO: ESSA) is the largest and busiest airport in Sweden with 24.7 million passengers in 2016. It is located about 40 km (25 mi) north of Stockholm and serves as a hub for Scandinavian Airlines. 1 2 "Stockholm" (in Swedish). Nationalencyklopedin. Retrieved 30 January 2014. 1 2 3 4 "Folkmängd per tätort och småort 2010, per kommun" (XLS) (in Swedish). Statistics Sweden. 20 June 2013. Retrieved 2 February 2014. ↑ "Stockholm". Random House Webster's Unabridged Dictionary. ↑ Hedelin, Per (1997). Norstedts svenska uttalslexikon. Stockholm: Norstedts. 1 2 "Population". The Nordic Council. Retrieved 31 December 2014. Stockholm is the largest city with 2.1 million people, followed by Copenhagen and Oslo with 1.2 million each. ↑ "Folkmängd i riket, län och kommuner 30 juni 2017 och befolkningsförändringar 1 april–30 juni 2017. Totalt". SCB. Archived from the original on 9 August 2016. Retrieved 2 July 2016. ↑ "Finansiella sektorn bär frukt — Analys av den finansiella sektorn ur ett svenskt perspektiv" (PDF). Government of Sweden. Archived from the original (PDF) on 28 July 2014. Retrieved 19 July 2014. ↑ "Regional GDP per capita in the EU in 20 10 : eight capital regions in the ten first places" (PDF). Eurostat. 2013. Archived from the original (PDF) on 3 April 2013. Retrieved 19 July 2014. ↑ "The World According to GaWC 2012". Loughborough University/GaWC. 13 January 2014. Retrieved 30 January 2014. ↑ "2012 Global Cities Index and Emerging Cities Outlook". A.T. Kearney et al. 2012. Archived from the original (PDF) on 20 October 2013. Retrieved 30 January 2014. ↑ "Stockholm School of Economics". www.hhs.se. Retrieved 11 December 2017. ↑ "World University Rankings 2011–12: Europe". TSL Education Ltd. Retrieved 19 July 2014. ↑ "Top 5 non-art museums". Chicago Tribune. Retrieved 19 July 2014. ↑ "Who visits Vasa". Vasamuseet. Archived from the original on 27 July 2014. Retrieved 19 July 2014. ↑ "Stockholm's underground subway art". BBC. Retrieved 19 July 2014. ↑ "Stockholm's Subway System is the World's Largest Underground Art Museum". Inhabitat. Retrieved 19 July 2014. ↑ "Magic in the Metro". Businessweek. Retrieved 19 July 2014. ↑ "Allt fler myndigheter hamnar i Stockholm" (in Swedish). Riksdag & Departement. 27 April 2012. Archived from the original on 1 May 2012. Retrieved 1 February 2014. ↑ "Kammarrättens hus" (in Swedish). National Property Board of Sweden. Archived from the original on 4 February 2014. Retrieved 2 February 2014. ↑ "Bondeska palatset" (in Swedish). National Property Board of Sweden. Retrieved 2 February 2014. ↑ "The Swedish Government Offices — a historical perspective". The Government Offices of Sweden. Archived from the original on 18 February 2014. Retrieved 2 February 2014. ↑ "How the Riksdag works". The Riksdag. Retrieved 2 February 2014. ↑ "Sagerska huset" (in Swedish). National Property Board of Sweden. Retrieved 2 February 2014. ↑ "The Royal Palace of Stockholm". The Royal Court of Sweden. Archived from the original on 8 February 2014. Retrieved 2 February 2014. 1 2 "Drottningholm Palace". The Royal Court of Sweden. Archived from the original on 8 February 2014. Retrieved 2 February 2014. ↑ Carlquist, Erik; Hogg, Peter C.; Österberg, Eva (1 December 2011). The Chronicle of Duke Erik: A Verse Epic from Medieval Sweden. Nordic Academic Press. ISBN 9789185509577. ↑ Feargus O'Sullivan. "The Sky Walk Plan That Could Change the Face of Stockholm – CityLab". CityLab. Retrieved 17 March 2016. ↑ Hobbs, Joseph J., ed. (2009). "Northern Europe: Prosperous, wild and wired". World Regional Geography (6th ed.). p. 127. ↑ "Norrmalm, Stockholm Travel Guide". www.oyster.com. Retrieved 23 April 2018. 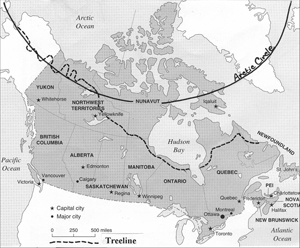 ↑ "Arctic Tree Line Map of Canada". Jackson School of International Studies. Archived from the original on 23 June 2010. Retrieved 8 October 2015. ↑ "Stockholm — Bromma". Data.smhi.se. Retrieved 11 April 2014. ↑ "Stockholm — Bromma". Data.smhi.se. Retrieved 1 December 2012. ↑ "Temperaturrekord i Stockholm och Uppsala | Meteorologi | Kunskapsbanken" (in Swedish). SMHI. 14 November 2011. Retrieved 14 January 2012. ↑ "Vintern 2010–2011: Vinterns lägsta temperaturer | Klimatdata | SMHI" (in Swedish). Smhi.se. Retrieved 14 January 2012. ↑ "Temperaturrekord i Stockholm och Uppsala" [Temperature Records in Stockholm and Uppsala] (in Swedish). Swedish Meteorological and Hydrological Institute. 2009. Retrieved 13 June 2010. ↑ "Climate Normals for Sweden 1981–2010". Météo climat. Retrieved 30 December 2016. ↑ "Sunshine Hours of Stockholm" (PDF). Sveriges Meteorologiska och Hydrologiska Institut. Retrieved 19 March 2012. 1 2 3 "City Governance". Stockholm City. Retrieved 23 July 2014. ↑ "Fakta om företagandet i Stockholm – 2012. page 18, Stockholm Business Region website" (PDF). Archived from the original (PDF) on 19 July 2012. Retrieved 19 May 2012. ↑ "Fakta om företagandet i Stockholm – 2012. page 6, Stockholm Business Region website" (PDF). Archived from the original (PDF) on 19 July 2012. Retrieved 19 May 2012. ↑ "Stockholm University — Find Housing On Your Own". Su.se. 11 May 2012. Archived from the original on 4 May 2012. Retrieved 19 May 2012. ↑ "Emerging housing crisis for students". Stockholmnews.com. Archived from the original on 29 April 2012. Retrieved 19 May 2012. ↑ "Fakta om företagandet i Stockholm – 2012. page 13, Stockholm Business Region website" (PDF). Archived from the original (PDF) on 19 July 2012. Retrieved 19 May 2012. ↑ "Statistisk arsbok for Stockholm 2015" (PDF). Statistik om Stockholm. Retrieved 2 September 2015. ↑ "Statistical database – Select table". www.statistikdatabasen.scb.se. Retrieved 1 August 2017. ↑ "Population in the country, counties and municipalities on 31/12/2012 and Population Change in 2012". Statistics Sweden. 20 February 2013. Archived from the original on 16 December 2013. Retrieved 30 January 2014. ↑ "Befolkningen i Stockholm 1252–2005" (in Swedish). Stockholm Municipality. Archived from the original (PDF) on 1 February 2014. Retrieved 30 January 2014. ↑ "Three world heritage sites". Stockholm Visitors Board. Archived from the original on 19 February 2014. Retrieved 2 February 2014. 1 2 "World Heritage Skogskyrkogården". The Stockholm City Museum. Archived from the original on 9 January 2014. Retrieved 2 February 2014. ↑ "Skönhetsrådet". Stockholm.se. 17 February 2012. Retrieved 19 May 2012. ↑ Hayao Miyazaki (director) (3 February 2010). Creating Kiki's Delivery Service (DVD)|format= requires |url= (help) (in English and Japanese). Disney Presents Studio Ghibli. ↑ "Museer & attraktioner — Stockholms officiella besöksguide, kartor, hotell och evenemang". Stockholmtown.com. Archived from the original on 7 March 2009. Retrieved 6 May 2009. ↑ User, Super. "Statistik Stockholm - English". statistik.stockholm.se (in Swedish). Retrieved 30 January 2018. ↑ "Foreign-born persons and persons born in Sweden with both parents born abroad 31/12/2011 by country". ↑ James Goodwillie (19 September 2017). "Swim Run: 2 Events That Combine These 2 Sports". ↑ 1997 there were 1123 restaurants with permission to serve alcoholic drinks "Archived copy" (PDF). Archived from the original (PDF) on 7 July 2007. Retrieved 18 March 2016. ↑ "Stockholm Jazz". Stockholm Jazz. Retrieved 19 May 2012. ↑ "Stockholm Pride". Stockholm Pride. Retrieved 19 May 2012. 1 2 "Stockholm – European Green Capital 2010". Ec.europa.eu. 23 February 2009. Archived from the original on 11 May 2012. Retrieved 19 May 2012. 1 2 "European Green Capital". international.stockholm.se. 1 March 2012. Archived from the original on 24 May 2012. Retrieved 19 May 2012. 1 2 "Archived copy". Archived from the original on 27 August 2010. Retrieved 18 March 2016. ↑ "A sustainable city". international.stockholm.se. Archived from the original on 29 May 2012. Retrieved 19 May 2012. ↑ "Archived copy". Archived from the original on 27 February 2010. Retrieved 18 March 2016. ↑ "Cushman & Wakefield. 2010 European Cities Monitor" (PDF). p. 2. Archived from the original (PDF) on 4 May 2012. Retrieved 19 May 2012. 1 2 3 "Environment". international.stockholm.se. 10 February 2012. Archived from the original on 13 March 2012. Retrieved 19 May 2012. ↑ Schantz, P. 2006. The Formation of National Urban Parks: a Nordic Contribution to Sustainable Development? In: The European City and Green Space; London, Stockholm, Helsinki and S:t Petersburg, 1850–2000 (Ed. Peter Clark), Historical Urban Studies Series (Eds. Jean-Luc Pinol & Richard Rodger), Ashgate Publishing Limited, Aldershot. ↑ "Luften i Stockholm Årsrapport 2016" (PDF). SLB-analys, Miljöförvaltningen i Stockholm, Stockholms stad. ISSN 1400-0806. Retrieved 19 November 2017. ↑ "Archived copy". Archived from the original on 19 March 2017. Retrieved 19 March 2017. 1 2 3 "The Stockholm City Line". Swedish Transport Administration. Retrieved 28 July 2017. ↑ Barrow, Keith (10 July 2017). "Stockholm City Line opens". International Railway Journal. Retrieved 28 July 2017. ↑ "Congestion tax in Stockholm from 1 August". Swedish Road Administration. Archived from the original on 2 March 2007. Retrieved 2 August 2007. ↑ "Trängselskatt i Stockholm". Swedish Road Administration. Archived from the original on 9 July 2007. Retrieved 1 August 2007. ↑ "Odramatisk start för biltullarna". Dagens Nyheter. 1 August 2007. Archived from the original on 30 September 2007. Retrieved 1 August 2007. ↑ "Stockholmsförsöket". Stockholmsförsöket. Archived from the original on 15 July 2007. Retrieved 18 July 2007. ↑ "Tider och belopp". Swedish Road Administration. Archived from the original on 3 July 2007. Retrieved 1 August 2007. ↑ "Betalning". Swedish Road Administration. Archived from the original on 29 June 2007. Retrieved 1 August 2007. ↑ "Traffic and public transport". international.stockholm.se. Archived from the original on 21 June 2012. Retrieved 19 May 2012. 1 2 Archived 25 September 2010 at the Wayback Machine. ↑ "To buy a bike card". Citybikes.se. Retrieved 19 May 2012. ↑ Craythorn, Dennis; Hanna, Rich (1997). The Ultimate Guide to International Marathons. United States: Capital Road Race Publications. ISBN 978-0-9655187-0-3. ↑ "European Innovation Scoreboard" (PDF). Maastricht Economic Research Institute on Innovation and Technology; Institute for the Protection and the Security of the Citizen. 2006. Archived from the original (PDF) on 25 February 2007. Retrieved 1 December 2008. ↑ "The World Knowledge Competitiveness Index". Centre for International Competitiveness. 2008. Retrieved 1 December 2008. ↑ "London takes top spot from Paris in Jones Lang LaSalle's new European Regional Growth Barometer". Jones Lang LaSalle. 7 November 2006. Archived from the original on 8 January 2007. Retrieved 1 December 2008. ↑ "European Cities Monitor" (PDF). Cushman & Wakefield. 2007. Archived from the original (PDF) on 9 December 2008. Retrieved 1 December 2008. ↑ Kahn, Matthew. "Living Green". Reader's Digest. Archived from the original on 29 September 2008. Retrieved 1 December 2008. ↑ Marty, Phil (23 November 2008). "Phoning in search of an honest man". Chicago Tribune. Retrieved 3 September 2016. ↑ Tourtellot, Jonathan (November–December 2008). "Historic Places Rated". National Geographic Traveler. Retrieved 1 December 2008. ↑ "The 2008 Global Cities Index". Foreign Policy. November 2008. Archived from the original on 10 January 2010. Retrieved 9 December 2008. ↑ Steven, Perlberg (9 June 2013). "The 17 Most Competitive Cities In The World". Business Insider. Retrieved 30 January 2014.